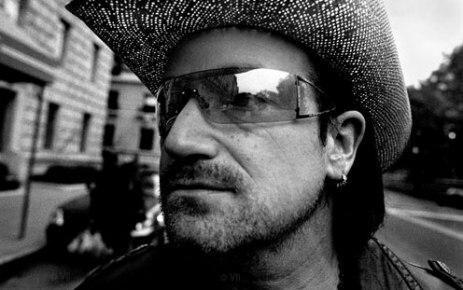 Keen listeners to U2 might have heard Bono sing the lyric 'dream out loud' on a few U2 songs. Here's a brief run down on what those songs are. Lucky fans who attended the Love Town Tour in the late 80's might have head Bono first ad lib the line into the live set. And don't let the bastards grind you down"
In this case dreaming out loud would appear to be the exercise of getting on with getting your dreams and schemes accomplished. The coda in the title track of "Zooropa" repeated "dream out loud" as a kind of mantra, which Bono supposedly included as a direct reference to "Acrobat". Given the Zooropa album is often considered a cousin or companion album to Achtung Baby, it's a nice little link that Bono made. In the Pop era 'dream out loud' was spoken by Bono in the PopMart: Live from Mexico City video. I think that's it - any other references in his lyrics that Bono has made? Also at the end of Zooropa.